Photo Caption: Lt. 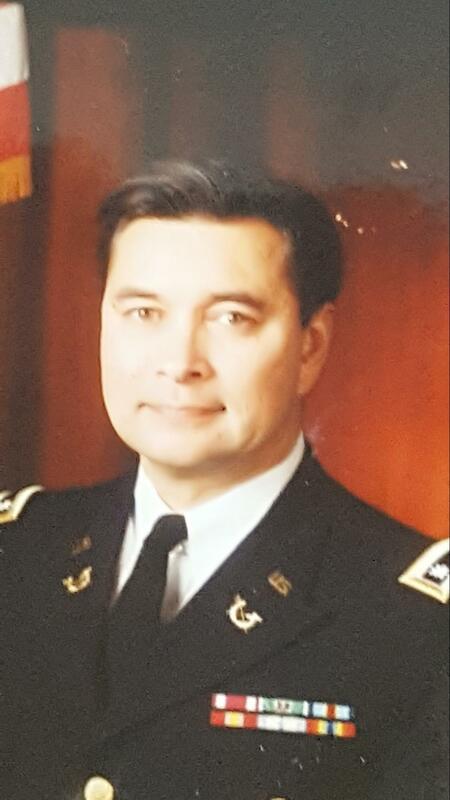 Colonel Bill Douglas, U.S. Army JAG, Ret. As a retired Army Judge Advocate General, I have given legal assistance to hundreds of our veterans who deserve our thanks and support. There are approximately 30,000 veterans in Kootenai County. That number is increasing as we continue combat deployments overseas. I have made an observation first hand that many of our veterans have Medicaid as a source of coverage. This coverage ensures that veterans get the primary and specialty care that these patriots have earned. In fact, about 340,000 veterans nationally receive coverage through the Affordable Care Act’s Medicaid expansion-which the Idaho legislature has refused veterans and those who need coverage. These efforts in Congress and the Idaho legislature to cut Medicare jeopardize a critical source of health coverage for veterans. Additionally, not all veterans enrolled in the VA can easily use VA services because of transportation issues in rural areas like Idaho. This Veterans Day give our veterans a meaningful tribute by demanding that Congress and Idaho legislators make it easier, not harder, for veterans to access the health care they have earned and deserve. Photo Caption: Sgt. 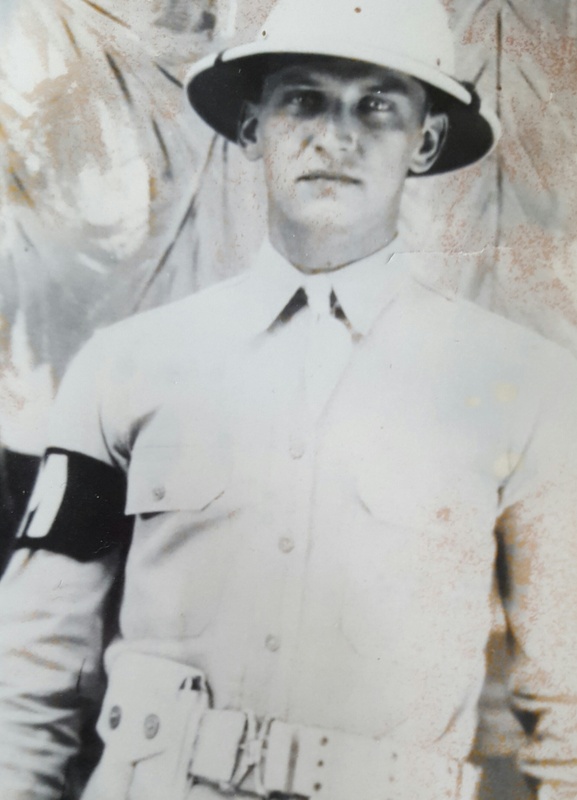 James Douglas, U.S. Army. WW II Veteran. 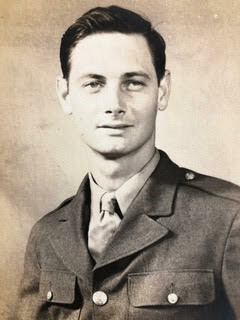 Father of Bill Douglas and member of the greatest generation. Thanks, Dad and my fellow vets. This a photo of 2 veterans I would like to honor. On the left is Abraham Hertzberg and on the right is Izadore Hertzberg. I knew them as Uncle Abe and Uncle Izzy, my father’s two older brothers, may they both rest in peace. This photo is from WWII. My Uncle Abe spent two years as a navigator helping pilots drop bombs over Nazi Germany. My Uncle Izzy served in the infantry in Europe for one year. My uncle Abe lived to be 90 years old and, as he aged, he opened up about his experiences. He was the sole survivor of his graduating class of navigators. He navigated from reading landmarks, observing star constellations, and memorizing a map of Europe. They returned home as heroes and lead wonderful full lives. Both of my grandfathers served: Donald Lander served in the Army Air Corp and Ezra Matthews served in the Air Force. My uncle Jeffrey Matthews, my sister Jessica Parrish, and my brother-in-law Brad Parrish served in the Navy. I’m proud of my family and our sense of duty to put service before self. 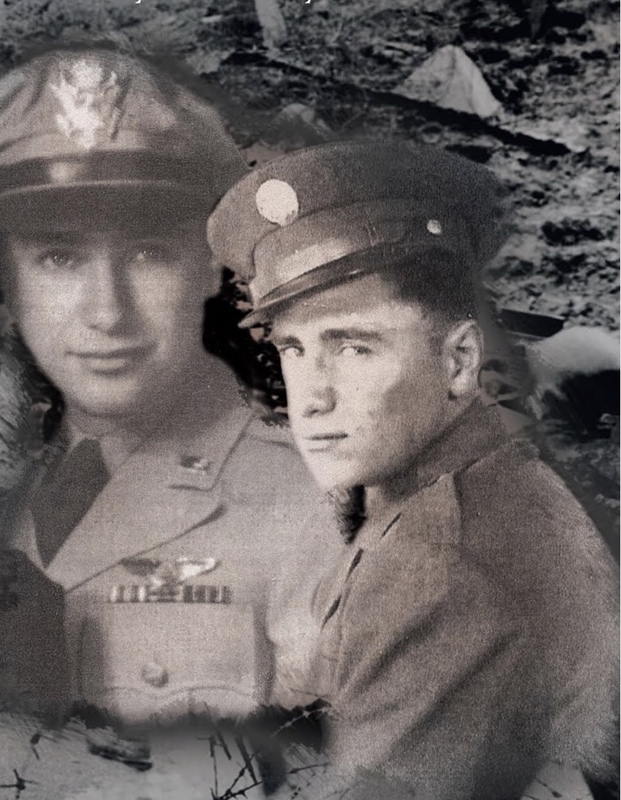 Top: Grandfather Donald Lander who served in the Army Air Corp.
Middle: Grandfather Ezra Matthews who served in the Air Force. 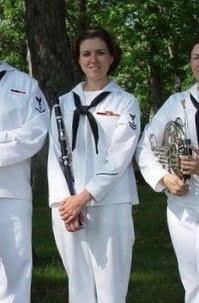 Bottom: My sister Jessica Parrish who served in the Navy. 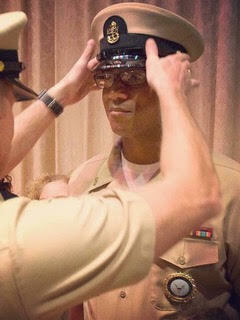 My brother-in-law Brad Parrish is currently serving in the Navy and was recently promoted to Chief Petty Officer. Our family boasts of several veterans:my paternal grandfather and grandmother served in the Navy in WWI; in WWII my mother served as an Army nurse caring for burn victims from the Pacific theater and my father was an Army aviation mechanic in the Pacific and North Africa. Currently my granddaughter is a Seaman in the US Navy. 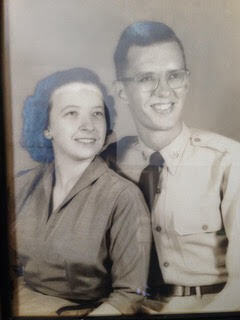 My favorite veteran is my husband of 50 years, John Neils. 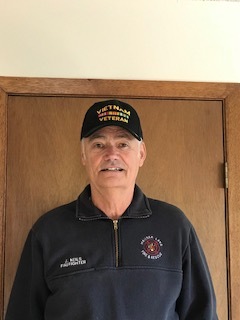 John entered the Army in 1966 as a draftee, when his grades as a freshman of the University of Idaho suffered after the unexpected death of his 45-year-old father. Because he was already a student pilot, he applied to train as a helicopter pilot. His application was rejected: he was too tall. Tapping into another innate talent, he instead served as a heavy equipment (road-building) mechanic and was stationed at Cam Ranh Bay and Nha Trang, Vietnam, with the 864th Engineering Battalion. His year-long stay in Vietnam coincided with the infamous Tet Offensive. His memories, while not as unimaginable horrific as those of infantrymen sent into direct combat, were nonetheless of grueling, hot, dirty work, interminably long hours, and sometimes (once during a days’-long Naval bombardment of Nha Trang) heart-poundingly loud enough to permanently damage his hearing. He wrote over 300 letters to me during that year. I am grateful for his service and for that of thousands of others who served in the name of all Americans and our American ideals.